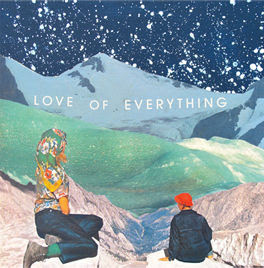 Sooner I Wish, Bobby Burg’s recent solo EP as Love is Everything, is an earnest enough affair. But with four songs at nine minutes, the album cannot help from feeling forced. Reportedly recorded when Burg was going through a painful divorce (his wife coincidentally is the ex-drummer for LOE), the music here is not lacking in emotion. However, Sooner I Wish feels ultimately trite due to its abridged production. Polyvinyl will release Sooner I Wish on August 2nd in limited black-and-white vinyl form as well as an instant MP3.